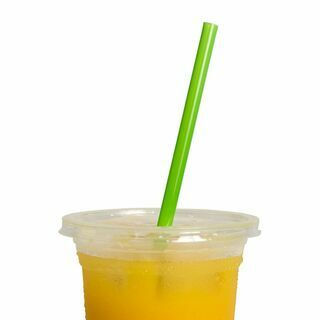 Ecoware Bioplastic Cocktail Straws 3mm x 145mm. The entire range of Ecoware clear cup accessories is made of Ingeo™ bioplastic with physical characteristics and performance tailored for cold drinking liquids. Naturally advanced Ingeo™ resins used in food serviceware have a significantly lower carbon footprint than the fossil fuel based polymers that it replaces, because the manufacture of Ingeo™ emits fewer greenhouse gasses (GHGs) than the comparable manufacture of all common petrochemical-based plastic1. The innovation of turning plants into plastic allows us to exclude non-renewable resources (such as oil) from the production of our clear cup accessories. This allows us to provide a sustainable plant-based alternative to traditional oil-based clear plastic cup accessories with a lower environmental footprint. The entire range of clear cup accessories is made of Ingeo™ bioplastic with physical characteristics and performance tailored for cold drinking liquids. Naturally advanced Ingeo™ resins used in food serviceware have a significantly lower carbon footprint than the fossil fuel based polymers that it replaces, because the manufacture of Ingeo™ emits fewer greenhouse gasses (GHGs) than the comparable manufacture of all common petrochemical-based plastic1. The innovation of turning plants into plastic allows us to exclude non-renewable resources (such as oil) from the production of our clear cup accessories. 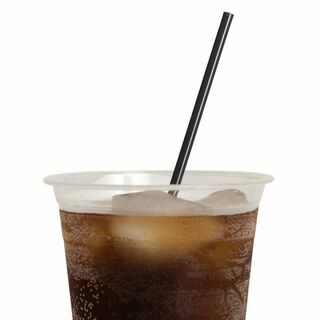 This allows us to provide a sustainable plant-based alternative to traditional oil-based clear plastic cup accessories with a lower environmental footprint. Ecoware paper straws in White (with logo as shown in photo). 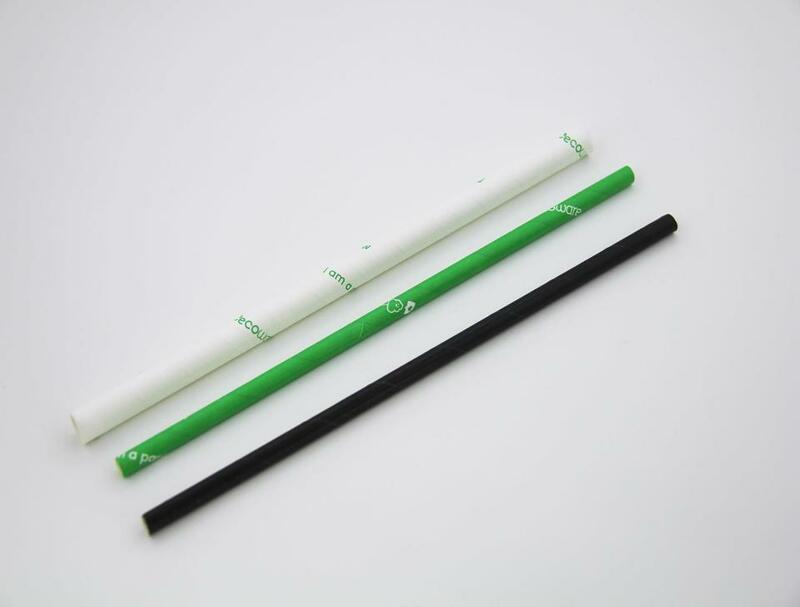 Ecoware paper straws in Black (with logo as shown in photo). Ecoware paper straws in Green (with logo as shown in photo). 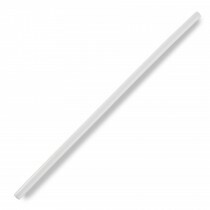 Clear PLA Straw 12mm - 8" length. Biodegradable. 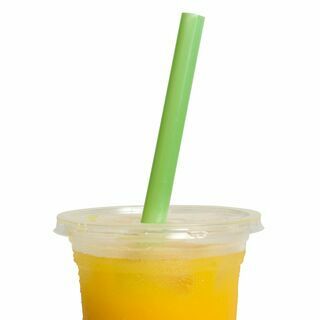 Clear PLA Straw 7mm - 8" length. Biodegradable. Green PLA Straw 7mm - 8" length. Biodegradable. Green PLA Straw 12mm - 8" length. Biodegradable.